Why bother turning over a new leaf when you can turn over an old one--a very old one--build a collection and save money at the same time? Some of the most desirable antiquarian books to collect are incunabula, that is, books printed before 1501. Incunabulum, the singular form of the word, literally means "cradle" in Latin, and these books are the babies born in the earliest days of printing. 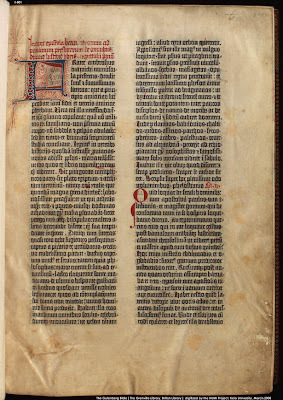 The most famous, by far, is the Gutenberg Bible, generally recognized as the first substantial book printed with movable type in Western Europe. 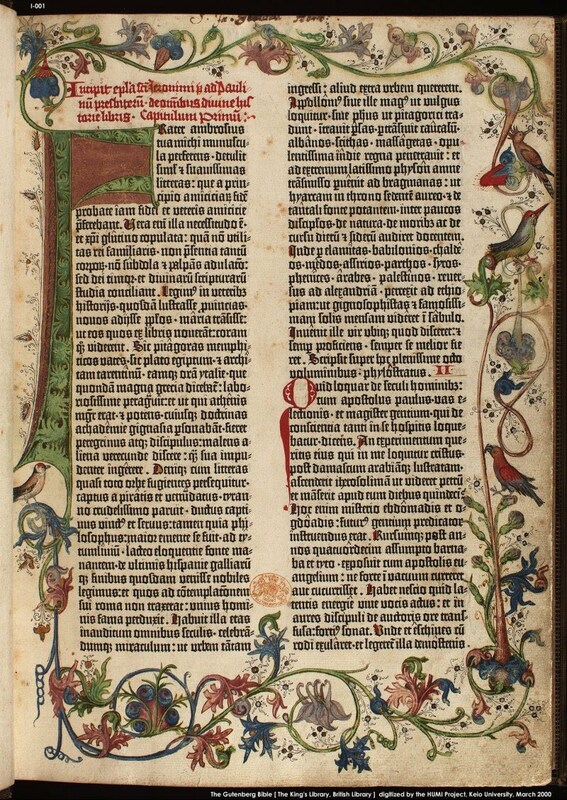 It was produced in Mainz, Germany by Johannes Gutenberg circa 1455. 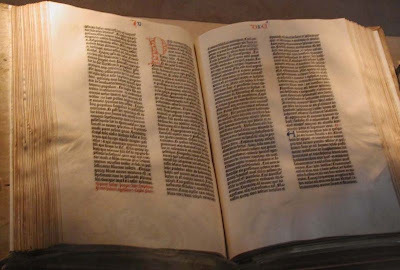 There are 48 known copies of the Gutenberg Bible (a number imperfect, some comprising one volume of two, and a few of those imperfect). All but three are in institutional collections. The last substantially complete copy at auction sold in 1978 for $2,000,000, and the Doheny copy of volume one, consisting of 324 leaves of the Old Testament only, sold for a hammer price of $4,900,000 in 1987 . 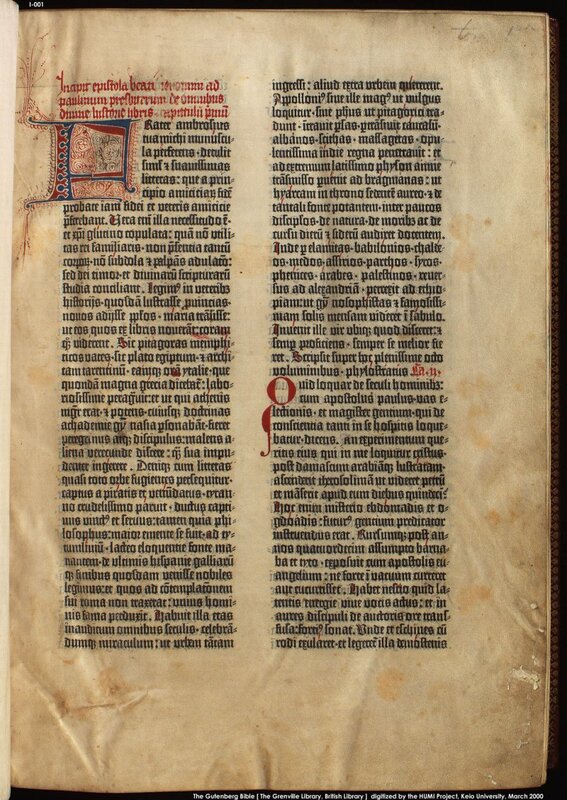 While complete copies are very rare, single leaves from Gutenberg Bibles appear on the market with some regularity. Volumes that survived the centuries but lost some pages along the way have been broken up by dealers and collectors for sale as individual leaves. These still fetch in the neighborhood of $45,000--no bargain, but a long way from the millions a complete copy would command. ...and the copy on vellum. Which do you like best? Other books to printed soon after the advent of movable type were various histories, the letters of St. Jerome (translator of the Vulgate Bible), Jacobus de Voragine's medieval bestseller The Golden Legend (an imaginative account of the lives of the saints), and other Bibles--lots and lots of Bibles. A number of such leaves are available on the market, many for under $500 and some for less than $100. It's a very affordable way to own a piece of early printing. Der Edelstein (1471), a collection of morality tales whose title means "The Precious Stone"
The price of printed leaves is determined by the desirability and rarity of the book from which they came (thus the high prices for the Gutenberg leaves), the reputation of the printer and the rarity of his work, and the decoration and condition of the leaves themselves. 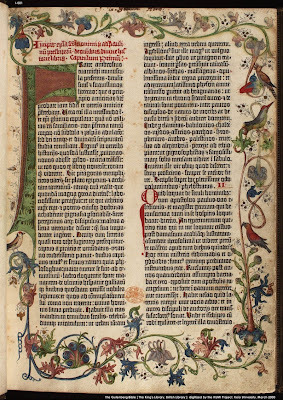 Some incunables (the Anglicized form of the word) were decorated much like illuminated manuscripts, with large initials or miniatures painted by hand. Printers would sometimes leave a space for these embellishments, printing a small version of the initial to be supplied as a guide to the illuminator. 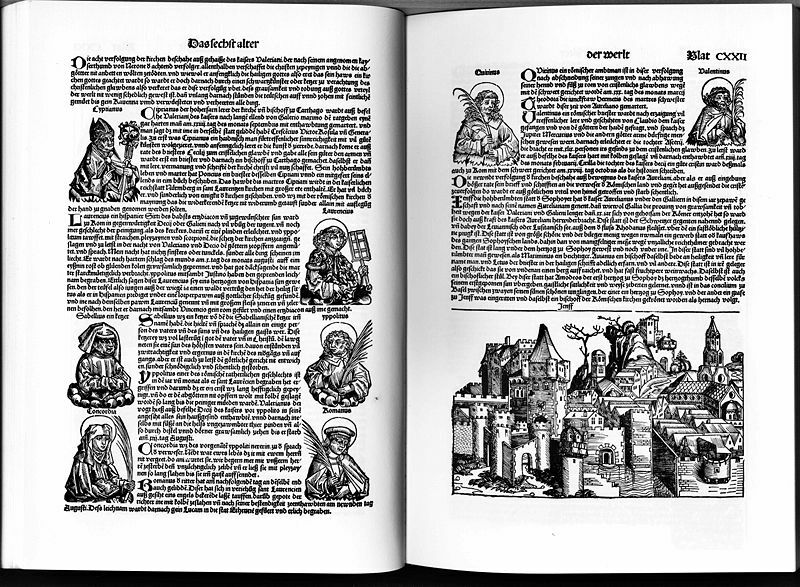 Later, printers began inserting woodcut illustrations in the text. Sometimes, these would be colored by hand. 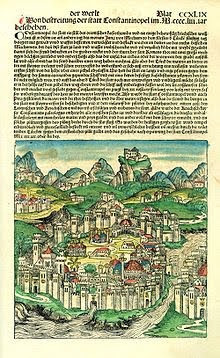 One of the earliest and most extensively illustrated books was Hartmann Schedel's Liber Chronicarum (Book of Chronicles), published by Anton Koberger in Nuremberg, Germany, in 1493 and commonly called the Nuremberg Chronicle. 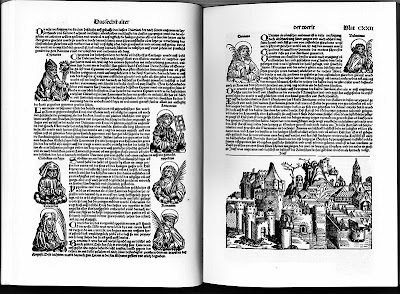 It is a history of the world from "God created light" to the early 15th century, and is illustrated with hundreds of woodcuts (some of them repeated) that depict everything from small portraits of popes and princes to the family tree of Jesus to 15th century German cities. 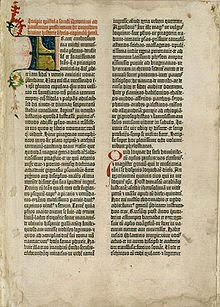 The vast majority of incunabula were printed in Germany, where moveable type was invented and first used, and in Italy, particularly in Venice. Some of the "Italian" printers, such as Sweynham and Pannartz, were in fact Germans who had migrated south. 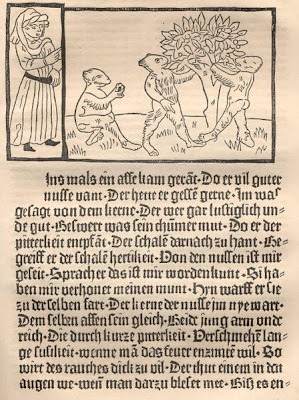 German printers generally used gothic type, based on the handwritten script commonly used in manuscripts of the day. Italian printers were more like to use a roman font, such as that employed by Nicolaus Jenson, or an italic typeface, like that of Aldus Manutius in Venice. When printing arrived in England, the most commonly used type was a variation on the Gothic style called "black letter" and the most important printers were William Caxton and the wonderfully named Wynkyn de Worde. Well, boys and girls, tune in next week, when all will be revealed: the mysteries of Goff and BMC, the joys of line counting, and the thrill of typeface identification. Bring your rulers and magnifying glasses. *Luckily, the Harry Ransom Center at the University of Texas has digitized their copy (shown above) so you can view it online and get some idea of what this treasure is like. That perennial show-off, the British Library, which owns a complete copy on vellum as well as one on paper, allows you to view images of the two versions side by side so you can decide which one you like best.